This video shows ten classroom management techniques. One of the techniques is the talk ticket. This is an important video, because all of the classroom example techniques are research-based. These interventions can be used throughout the entire school day and within each content area. "Teachers seldom have the time to drop everything and talk at length with a student who is upset about an incident that occurred within , or outside of, school. The "Talk Ticket" assures the student that he or she will have a chance to talk through the situation while allowing the teacher to schedule the meeting with the student for a time that does not disrupt classroom instruction. The Talk Ticket intervention is flexible to implement and offers the option of taking the student through a simple, structured problem-solving format." (InterventionCentral, 2015). "Take the Time to Talk...This intervention will probably be most effective if the adult who debriefs with the student is able to use a structured problem-solving approach to help the student reflect on (1) what factors led to the problem in the first place and (2) how he or she might avoid such problems in the future. If time allows, consider using the Long Form version of the Talk Ticket and have the student fill out the "Talk Ticket Reflective Planner" as well." (InterventionCentral, 2015). Reduces disruptiveness of students" (PBISWorld.com, 2015). When should you use Talk Tickets? "Step 1: From the sample forms that accompany this intervention description, choose a version of the Talk Ticket form that best suits your needs. Step 2: Meet with the student privately to introduce the Talk Ticket intervention. Tell the student that, when an upsetting incident occurs that the teacher cannot immediately meet with the student to discuss, the student will be given a "Talk Ticket." 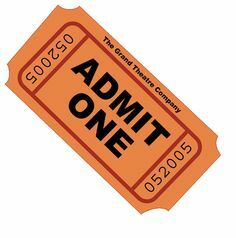 This ticket will guarantee that the student will be able to meet with a trusted adult to debrief about the incident -but at a time that will not interfere with instruction. Step 3: Whenever you note that the student is upset about an event or issue but you not have time to meet immediately with the student to discuss the situation, write out a Talk Ticket that notes a time and location for the student to meet with a trusted person (e.g., you, school counselor, administrator, teacher) to problem-solve about the issue. Step 4: Be sure that the student is allowed to 'redeem' his or her Talk Ticket at the time noted! If you have listed several adult contacts in the school whom the student might choose to meet with, you may decide to let the student work down the list, checking in with each of the adults listed until the student finds one who has time to meet with him or her. Step 5 (Optional): After the student meets with an adult to talk about the upsetting situation, you might choose to have the student complete the "Talk Ticket Reflective Planner" form. Or the student and adult can complete this form together as part of their conference." (InterventionCentral, 2015). Reading: This is a great intervention for reading because it will decrease the blurting that goes along with a read-aloud. When students read something exciting that they can relate to their prior knowledge and lived experiences, they instantly want to tell. This will give the teacher a better handle on the blurting out and an easier way to manage the classroom. Math: Math can cause a lot of questions, and a lot of questions can be similar. If students are using talk tickets, they will have plenty of time to think about the question and how they want to word it for the teacher. The teacher will also be giving full attention to the student who is talking, so they will be able to adapt their explanation to each student and their question. Science: Vocabulary and scientific topics are difficult for some students to understand. By using talk tickets, you can minimize the questions that don't apply to science and hopefully stick to science-based questions. The students can use the talk tickets to tell stories as well as make a connection to their lived experience. This will be exciting for them because they know they get the teacher's undivided attention when they hand over the talk ticket. Special Education: Talk tickets will be helpful in the special education room, because they will assist with the blurting out. Sometimes there will be blurting issues anyways, but this gives the students a true handle on their statements and a realization that they will be listened to. Talk tickets will give them a chance to gather their thoughts before talking in front of the class or to the teacher. SoundSystems, Amplivox. "Top 10 Proven Classroom Management Tips for Teachers." YouTube. YouTube, 28 Nov. 2011. Web. 21 Oct. 2015. "Talk Ticket." Talk Ticket. Web. 21 Oct. 2015.